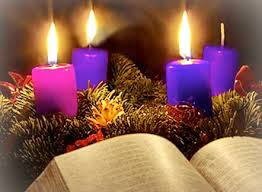 In 2015, the 13th December falls on a Sunday, Gaudete Sunday, the Third Sunday of Advent. It takes it's name from the Introit for the Latin Mass, taken from Philippians 4:4,5: "Gaudete in Domino semper" ("Rejoice in the Lord always"). The season of Advent originated as a fast of forty days in preparation for Christmas, commencing on the day after the feast of St Martin (12 November), it was often called "St. Martin's Lent"—a name by which it was known as early as the fifth century. In the ninth century, Advent was reduced to four weeks. Gaudete Sunday is a counterpart to Laetare Sunday, and provides a similar break about midway through a season which is otherwise of a penitential character, and signifies the nearness of the Lord's coming.